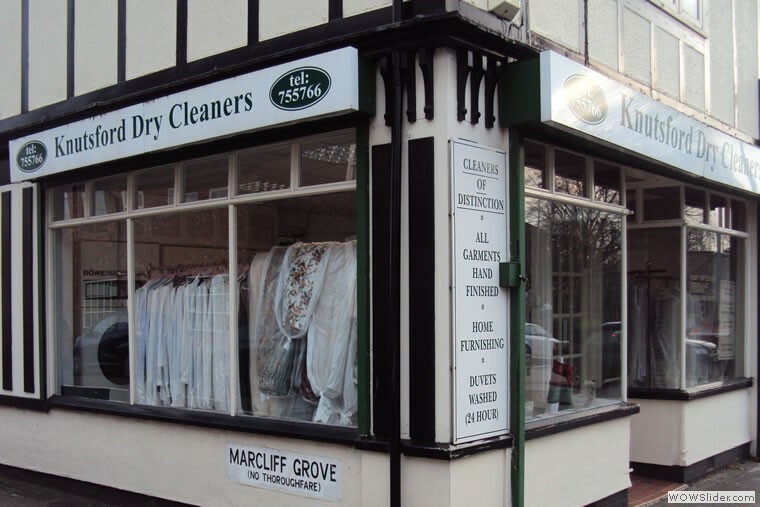 Knutsford Dry Cleaners established in 1993 as a family run business. We pride ourselves on offering a high quality traditional service using state of the art technology. 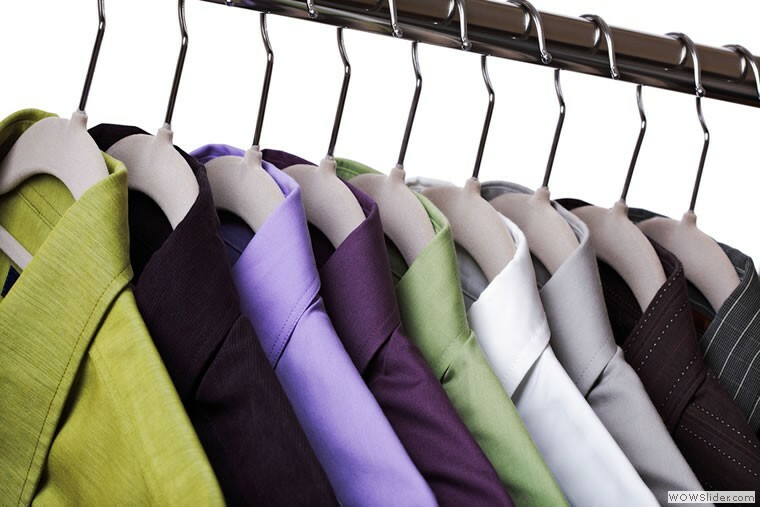 Our service covers almost all types of clothing - from work wear to formal wear such as suits and wedding dresses. Most items can be cleaned within 24 hours but specialist treatments may take longer. who will contact you shortly to discuss your enquiry. 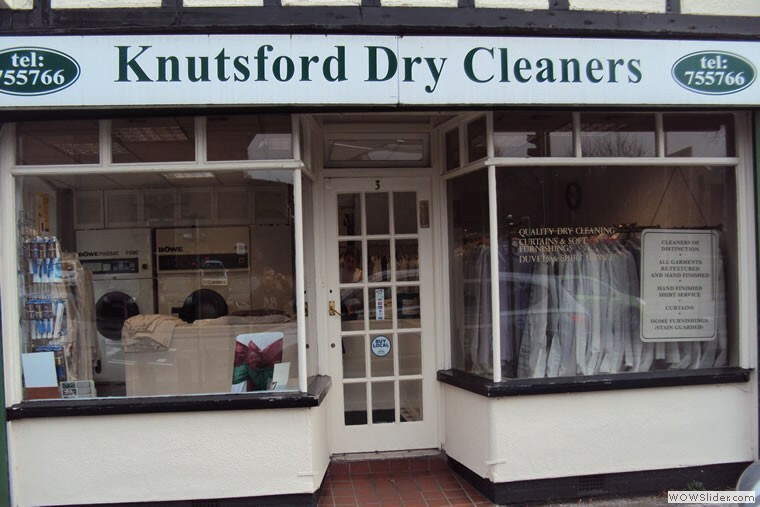 Knutsford Dry Cleaners is your local independent Cheshire dry cleaners for Knutsford, Northwich, Cheshire, Northwest, UK and all surrounding areas Alderley Edge, Alsager, Bollington, Chester, Congleton, Cranage, Crewe, Culcheth, Daresbury, Ellesmere Port, Faddiley, Frodsham, Grappenhall, Hale, Handforth, Haslington, Holmes Chapel, Kingsley, Knutsford, Lower Whitley, Lymm, Macclesfield, Malpas, Middlewich, Nantwich, Neston, Northwich, Penketh, Poynton, Prestbury, Runcorn, Sale, Sandbach, Stockton Heath, Tarporley, Warrington, Widnes, Wilmslow, Wincham, Winsford, Wistaston, Acton Bridge, Agden Brow, Allostock, Alvanley Anderton, Antrobus, Arley, Aston by Budworth, Barnton, Billinge Green, Bostock, Bucklow Hill, Stretton, Castle, Comberbach, Crowley, Crowton, Cuddington, Davenham, Delamere, Delamere Park, Goostrey, Gorstage, Great Budworth, Greenbank, Hartford, Hatchmere, High Legh, Holmes Chapel, Kelsall, Kingsley, Kingsmead, Knutsford, Lach Dennis, Leftwich, Leighton Hospital, Little Bollington, Little Budworth, Little Leigh, Lostock Gralam, Lostock Green, Lower Peover, Lymm, Marston, Marton, Mere, Middlewich, Millington, Mobberley, Moulton, Norley, Northwich, Oakmere, Oughtrington, Over Peover, Pickmere, Plumley, Rudheath, Sandiway, Shurlach, Stanthorne, Tabley, Utkinton, Weaverham, Whitegate, Whitley, Willington, Wincham, Winnington, Winsford.